Bring the Wild West to your child's room with this Sheriff Callie's Wild West Giant wall decal! 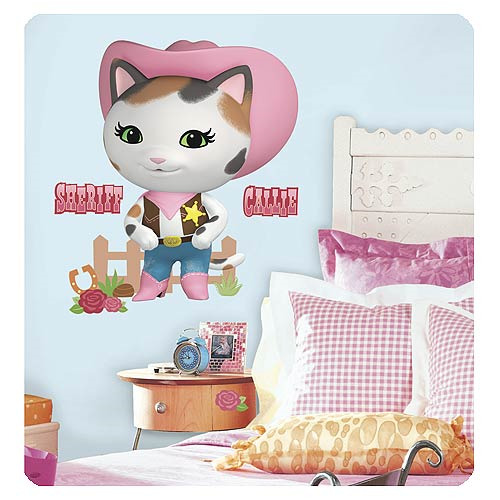 Featuring Sheriff Callie in her pink cowgirl hat and pink cowgirl boots, these wall stickers instantly upgrade a room ease. Just peel and stick each wall decal as much as needed until it looks exactly how you envisioned it. Easy to remove and reposition! Decal measures 28-inches by 28-inches when fully assembled. Ages 13 and up.